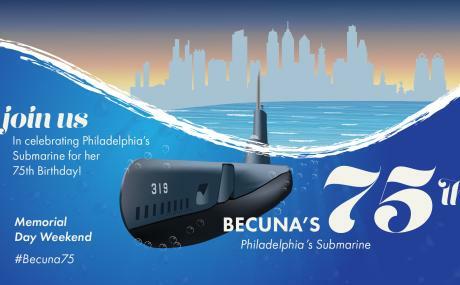 Dust off your party hats and noisemakers, it's time to celebrate Submarine Becuna's 75th birthday all Memorial Day Weekend long! Help Independence Seaport Museum make sure "Becky" has the best birthday yet by visiting the Museum to sign a birthday card, have some birthday cake (what's a birthday part without cake? ), and much more! 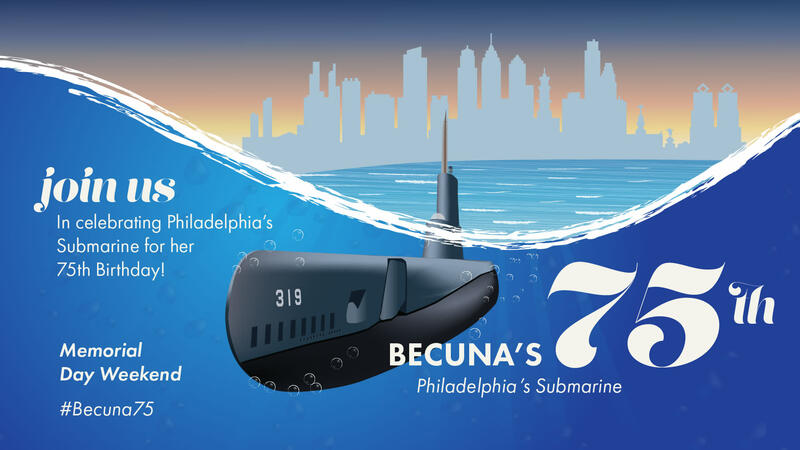 Docent tours of Becuna from 11 a.m. - 4 p.m. on Saturday, May 25 and Sunday, May 26 with United States Submarine Veterans, Inc. In addition to deals and activities, please join ISM on Saturday, May 25 at 10:30 a.m. for a special ceremony to honor Submarine Becuna. Speakers include a representative from the United States Navy as well as local individuals who have special stories and connections about the submarine. 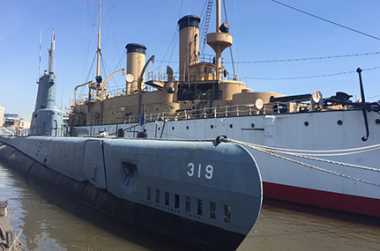 During the ceremony we will also be unveiling Becuna's brass and wood name boards as well as celebrating her service with gun salutes from Cruiser Olympia and the Battleship New Jersey.